After listening to the amazing audio drama from Heirloom Audio called In Freedom's Cause, there was one line spoken by William Wallace that stayed in our minds. 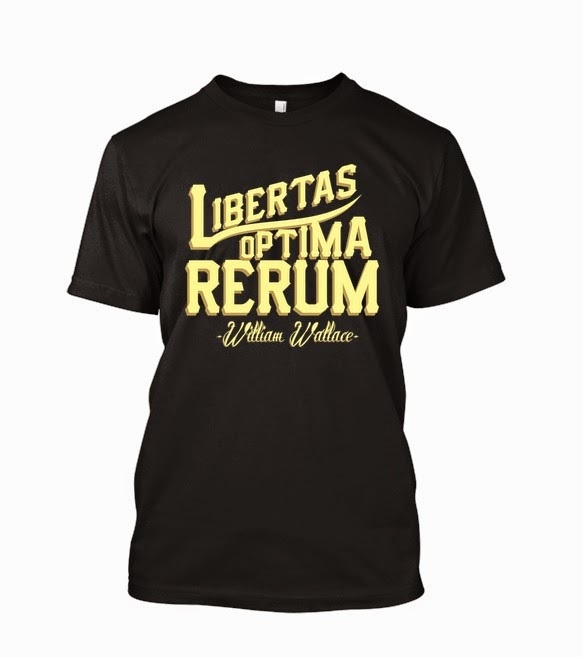 At a very poignant moment in the story (I won't say more in case you've not heard it yet), Wallace shouts out this Latin phrase, "Libertas Optima Rerum!" which in English is translated as "Freedom is the Best Possession". This phrase impacted the ATC team so much that we had to have it on a t-shirt. So we hired a designer to create the design and now we are excited to let you know that you can now order your own t-shirt! They come in a range of sizes from S to 5XL and are only $15! (Long-sleeve option also available.) We are using an online service to print them and send them out to you, but that means that they're only available for a limited time. Be sure to grab yours before they go away on April 16th. 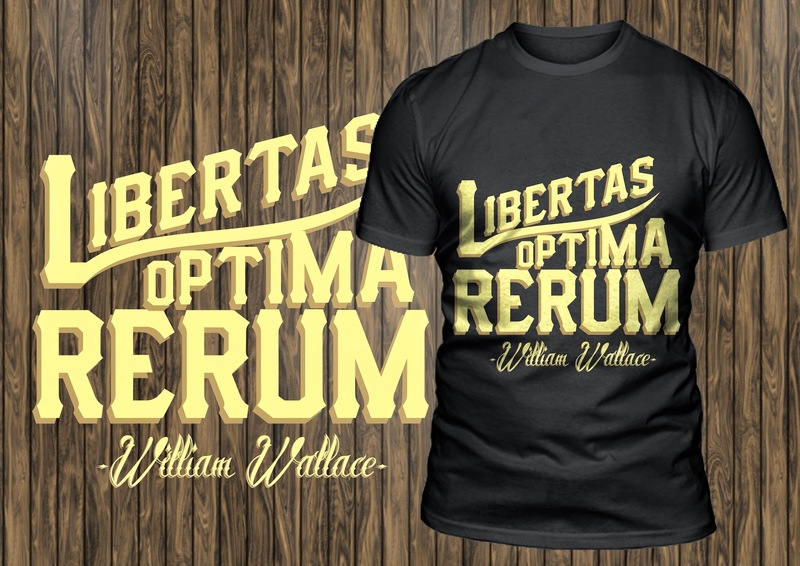 Get your Libertas Optima Rerum t-shirt NOW!